A stylish hipflask with a special engraving. 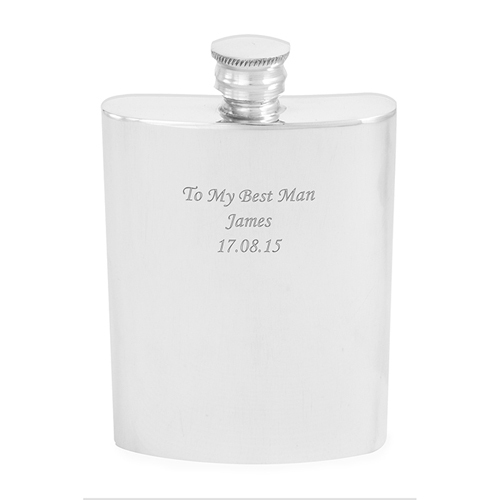 Personalise this 4oz Pewter Hip Flask with any message over 4 lines and up to 20 characters per line. Please note that pewter items are handmade and pewter is a very soft metal and does come with some characteristic markings. Personalise with any message over 4 lines and up to 20 characters per line.